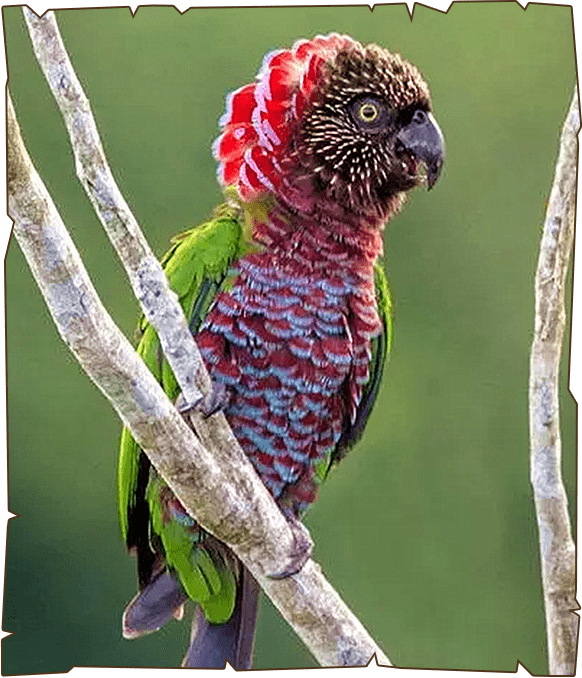 The Hawk-headed Parrot also known as the Red-fan Parrot or Guiana Hawk-headed Parrot -- is a South American parrot that is endemic to the Amazon Basin, specifically Brazil and Guiana. They are outgoing, playful, active, mischievous, excitable and occasionally high strung. This parrot generally lives in forest areas, feeding in the canopy on fruits and live upto 40 years in the wild. They are often seen swaying from side to side and emitting a whining sound.